By presenting an impressive range of innovative technologies at drinktec 2013, KHS, an international manufacturer of filling and packaging equipment for the beverage, food and non-food industries, will be demonstrating the company’s consistent orientation to its vision, “First Choice in Technology and Service”. The focus at KHS’ 4,200 square meter exhibition booth this year will be on innovations in the fields of stretch blow molding, filling, and labeling technology. KHS’ comprehensive range of services will also be addressed in a variety of ways. 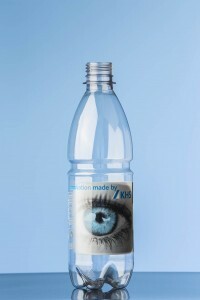 One highlight will certainly be the new KHS Innoprint machine generation offering capabilities for printing directly onto PET bottles thereby eliminating the need for labels. Using this method of digital direct printing, the desired print image can be sent directly from the computer to the control unit of the machine. This system incorporates a very high reaction speed and maximum flexibility. KHS’ Innoprint enables globally active beverage companies, for example, to print labels on bottles exceptionally quickly and at precisely the same time for all selected markets. Containers are labeled with UV inks that produce brilliant color images with optical resolutions of 1,080 x 1,080 pixels. This new machine is capable of processing a great variety of PET bottle types ranging in size from 0.33 to 1.5 liters. Container diameters can vary between 40 and 120 mm. 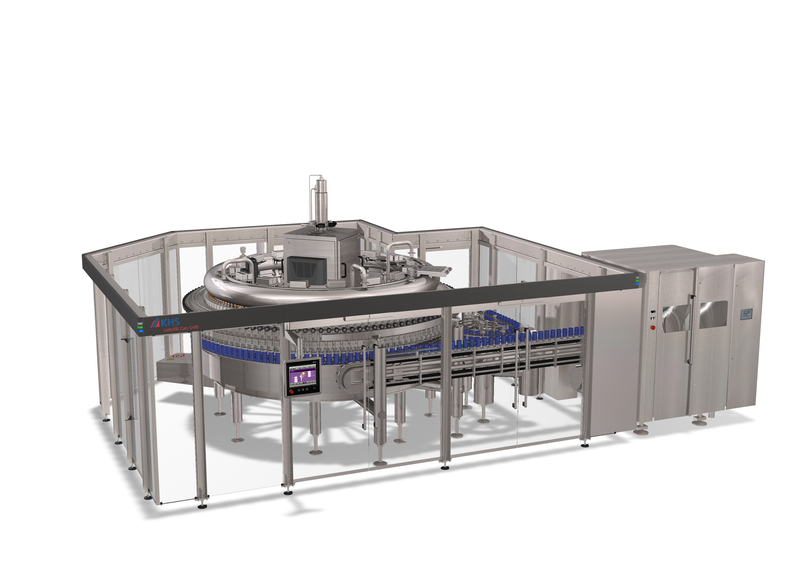 The Innoprint is designed for a capacity of 36,000 PET bottles per hour. With its Innosept Asbofill ASR, KHS presents a new generation of aseptic rotary machine technology which closes the last gap in the field of aseptic cold filling and together with its linear and rotary systems now offers a complete aseptic program that leaves nothing to be desired. The extensive know-how in Innosept Asbofill ABF linear filling technology tried-and-tested worldwide has gone into the development of the Innosept Asbofill ASR. A multitude of proven components and processes from the ABF range has been incorporated into the new rotary machine series. The Innosept Asbofill ASR uses, for example, an aerosol and heating system identical to the one found in aseptic linear filling equipment and also adopts the sterilization principle used here. Also worth mentioning is the room-in-room design of the new rotary aseptic technology. The very small aseptic zone is separated from the surrounding production shop by Plexiglas panes equipped with aseptic sealing systems that provide additional physical protection from the production hall and achieve a maximum standard of safety. A non-contact filling system is used in the ASR series. Users are offered a choice of two filling valve versions. Optimized filling processes have made it possible to reduce the size of the filling carousel in comparison with the previous ACF rotary machine technology. About 30% fewer filling valves are now required to achieve the same filling capacity. Five versions of the Innosept Asbofill ASR program with capacities of up to 36,000 bottles per hour are available. Future plans include monoblocking the ASR series with InnoPET Blomax Series IV stretch blow molders. KHS achieves even more sustainability, cost reduction, and space savings by implementing a new ultra-clean concept, in which the filler-capper system is integrated into what is known as a mini hygiene housing. In contrast to the classic hygiene housing, the floor area of this type of housing is also enclosed. This means that the filling area is isolated from all outside influences. A major advantage of the mini hygiene housing is that it comparatively requires up to 40% less space in the bottling shop, which among other things also reduces detergent and sterile air consumption by about 20%. Monoblocking the filler-capper area with an InnoPET Blomax Series IV stretch blow molder is prerequisite for the new KHS ultra-clean system. In this case, the heater area of the stretch blow molder is equipped with a sterile chamber module for sterilizing the preforms. A new feature of the bottle transfer from the stretch blow molder to the filler-capper area is that chlorine dioxide is added to the water to not only cool but also sterilize the bottle bases in the cooling module downstream of the sterile air lock. In the area of the filling system, only bottles, bottle grippers, and filling spouts are located inside the mini hygiene housing which contains a constant supply of sterile air. Filling valves, the product bowl, electronic equipment, and the control system consistently remain outside the hygiene area together with the servo drives of the capping elements. The volumetric Innofill DRV-UCF filling system optionally fills PET bottles with carbonated and non-carbonated beverages. A special feature in this case pertains to twin control of certain functions in the filling valves. The system is able to process up to 60,000 PET bottles per hour with volumes ranging between 0.1 and 3 liters. KHS is also exploring new avenues in the field of can filling with its Innofill Can DVD. A key feature of this filling system is its ideal hygienic design. The Innofill Can DVD generation of fillers is designed without a front table. A hygienic seamer is installed downstream of the filling process. As with the Innofill Glass filler series that has now become well established in the market, top filling quality is combined with the advantage of yet again comparatively increased system availability – the result of shorter sanitizing cycles and longer time intervals between maintenance. The filling valves of the Innofill DVD are simply flange-mounted and easy to remove. Media are fed in through hygienically designed pantograph joints. A compact valve manifold takes up to 50% less floor space. All sealing joints in the filling valves are equipped with flavor-resistant seals, membranes, and expansion joints. A particularly important feature of this filling system is the centering bell guide with expansion joint implemented for the first time that seals the can mouths under aseptic conditions without the need for water lubrication and which can be fully integrated into the CIP sanitizing and sterilization process. The force with which the bell seal is pressed against the can mouth can be individually adjusted via the expansion joint to suit the type of can being processed. The newly developed CAN+ low-pressure purging process is yet another exceptional advantage of the Innofill Can DVD. Applying the new CAN+ purging process to 0.5-liter cans, for example, can reduce the CO2 consumption by up to 20% and the residual oxygen content in the pressurized can by up to 50%. Twin valve control of the filling valves is standard for the Innofill Can DVD which reduces the control complexity of the machine considerably. This system is suitable for filling both carbonated and non-carbonated beverages. Hot filling is also available as an option. The maximum filling capacity is 120,000 cans per hour with can volumes ranging between 0.1 and 1 liters. In addition to a wide variety of innovations, KHS will be presenting a comprehensive package of services at drinktec. The purpose of this service package is to ensure maximum line efficiency and best possible filling and packaging quality for customers. KHS offers customers a choice of Start-up, Basic, Advanced, and Comfort service package solutions. It is also possible to have a customized service package compiled from the wide range of individual services. Another key subject among the many equally important topics of the trade show is the wide range of conversions KHS offers for the older model KHS line equipment. Be it a matter of processing of new types of bottle and packaging, increasing line and machine efficiency, improving the hygienic design, increasing environmental friendliness, or simplifying the operating concept – KHS’ conversion program makes them all doable. At KHS, it is never a matter of “merely” replacing old equipment with new equipment but always installing upgrades that pay off. “New for old plus technological edge and saving resources”.